If you want to protect your assets from being used to pay for potential nursing home cost in the future, the key is to start planning today. While you could address your long-term care costs with a tax-qualified LTC insurance policy, those can be pricey and don’t match everyone’s needs. 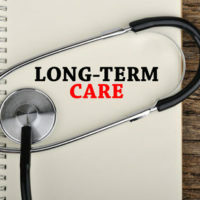 However, there is a much less expensive option that will ensure your assets won’t end up financing your long-term care needs: the Medicaid Asset Protection Trust. In some cases, your income from your pension and savings may be too little cover long-term care. Medicaid Asset Protection Trusts are an option to hold onto the assets of a nursing home patients while ensuring that they still qualify for Medicaid to pay the cost of the nursing home. The Department of Health and Human Services says Medicaid Asset Protection Trusts are the only trusts that are “exempt from the rules regarding trusts and Medicaid eligibility.” Utilizing a Medicaid Asset Protection Trust also can help you avoid a lengthy probate process after your death. How Does a Medicaid Asset Protection Trust Work? Medicaid Asset Protection Trusts are irrevocable trusts, meaning you cannot make changes to the trust. What makes a Medicaid Asset Protection Trusts differ from other standard irrevocable trusts is that the person creating the trust still is entitled to the income from the trust but now their assets no longer are considered owned by them so they don’t stop them from qualifying for Medicaid assistance. That means you or your loved ones will not be told that their wealth or assets make them too valuable to apply for Medicaid. Please note that to qualify for Medicaid, a single individual cannot own more than $2,000 of assets. In order to ensure you will qualify for Medicaid, your assets need to be transferred to the Medicaid Asset Protection Trust at least 60 months in advance of qualification so that you avoid the five year look back period. So, it is very important that you start this planning well in advance of need. Is a Medicaid Asset Protection Trust Right For Me? Since Medicaid Asset Protection Trusts are irrevocable, make sure you are taking everything under careful advisement as to whether the trust is right for you. You need to make sure the terms of the trust are written properly. It’s important to note that a revocable trust is not the same as a Medicaid Asset Protection Trust and any changes that need to be made will require additional legal expense and take some time. If you want to put your assets into a Medicaid trust, make sure you consult an experienced estate planning lawyer to make sure your assets are properly protected and passed on to your beneficiaries. The St. Petersburg long term care planning attorneys at Legacy Protection Lawyers have decades of experience in managing a myriad of trusts and will be able to lead you down a path that is right for you and your family. Call our St. Petersburg offices today to start your plan, at 727-471-5868. You can also contact us online to schedule a consultation today.